Back by popular demand, I am reviving my What I’m Loving posts. Since these posts usually contain products, it is especially timely to have them more often as the holidays approach. In any case, I only recommend products I have used personally, and I will always give my honest opinion if something I try out was not that impressive. I happened upon the “What Do You Do With…” books accidently at a local gift shop. I bought one to read to my toddler, and found the story to be relevant to my own life. And while the concepts may be a bit advanced for him, my son happily listens as I read these inspiring tales, one about tackling a problem and the other about pursuing a new idea. The artwork is beautiful and I think these books could as easily be given to a teen heading off to college as they could to a younger child. Each book title is listed below, along with the hyperlink to view them on Amazon. As a child, I always looked forward to a visit to the library. We had a limited budget for books, and I loved reading. And of course, this was before Amazon and Kindles were a thing. When I take the time to get to the library, I am always happy I do. Not only do I get some books to browse through for myself, I can get a few for my boys and make story time fun and new again for no cost. We have lots of books at home (we are lucky! ), but they still always get excited to hear a new story. I love that they love reading so much, too! If you haven’t been to your local library recently, I’d suggest you stop by. You never know what you might find there! We are also participating in our library’s 1000 Books Before Kindergarten Program. I’m still working on making sure I log our books in their system, but hey, it’s a nice goal to strive for! Check out the designs I picked, below. They also carry labels that identify typical allergies or medical issues. 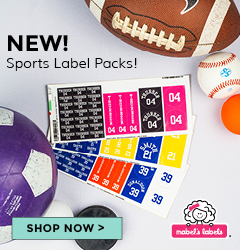 These labels are so cute and durable. I found some that matched my baby boy’s bottles, and others that catered to my toddler’s love of firetrucks. I know, I know. If you even know what Janie and Jack is, you are probably shaking your head right now. Their clothes are expensive, but amazingly cute. They are definitely boutique-level clothes, and not something I’d dress my kids in every day, but I get outfits there for special occasions. I also can often find items in the off-season on the sale rack at not a bad price. As an extra bonus, if my kids don’t absolutely destroy them, I can always resell the outfits later at consignment stores. Most places will take these higher end children’s clothes in a heartbeat. I got this outfit at Janie & Jack for my son’s baptism. They even had matching socks – I couldn’t resist! Side note – You can usually convince the grandparents to get some clothes here instead of paying for them yourself. 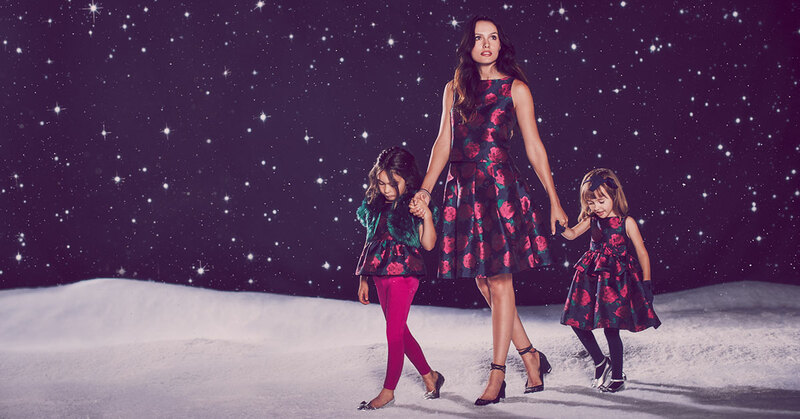 😉 While I may not ever rock the holiday Christmas cards as well as the family below, I can always try (and yes, they currently have dresses for mom, so you coordinate with your kiddos). Stay tuned next month, when I will be trying out Jane.com and EzPz bowls (actually, my sons will be trying those out for me!). And if you have experience with any of the items I mentioned above, please feel free to let my readers know about your experiences, below.